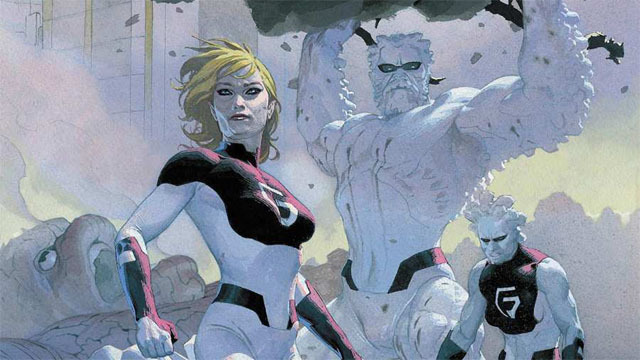 After Secret Wars ended, the Fantastic Four were no more. Reed and Susan Richards let the world believe that they were dead. In reality, they took their children and the Future Foundation on an extended trip to rebuild and expand the multiverse. However, a cosmic entity of immense power known as the Griever threatened to destroy everything that the FF had created. To save the multiverse, Reed had to call in everyone who had ever been a member of the Fantastic Four…including Iceman. Although the Human Torch is still contesting Iceman’s status as an ex-member. 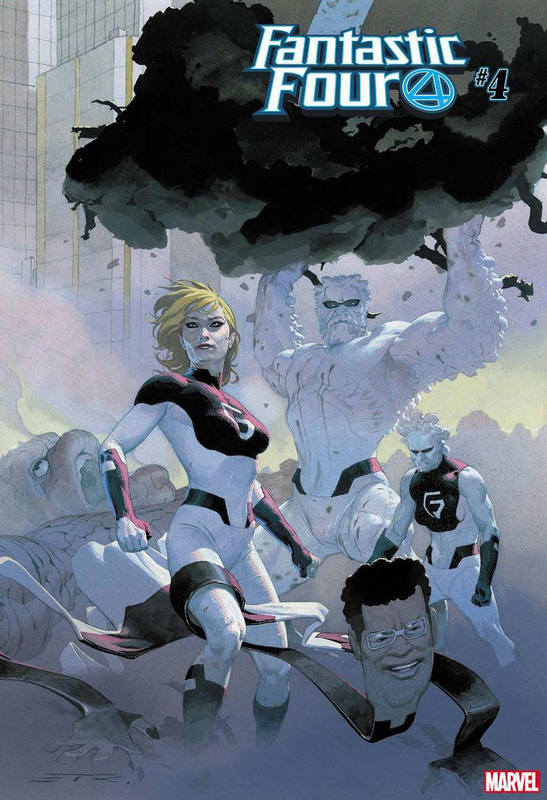 Dan Slott and artist Stefano Caselli are continuing the newly relaunched series in Fantastic Four #4. In Superhero Hype’s exclusive preview, we learn that the absence of so many heroes has not gone unnoticed by the villains. That’s where the Fantastix comes in. They are a new group of heroes who are apparently the equivalent of a FF tribute band. But they’ve taken over the Baxter Building, and they clearly want the FF’s legacy for themselves. Additionally, not every hero is making the journey home with the FF. The children of the Future Foundation have a new mission, and they want to save one of their friends if they can still find him. You can read the full exclusive preview in our gallery below. Fantastic Four #4 will be released on Wednesday, November 28. What did you think about the preview? Let us know in the comment section below!